PITTSBURGH (AP) — Three white officers accused in a federal civil rights lawsuit of beating a black art student falsely arrested him but didn’t use excessive force, a jury found Monday, awarding him $119,000 in damages. The all-white jury of four men and four women reached a split verdict in 22-year-old Jordan Miles’ lawsuit against officers David Sisak, Michael Saldutte and Richard Ewing. They found the officers liable for falsely arresting Miles but found them not liable for using excessive force to beat him. Miles’ attorney, Joel Sansone, said he was gratified but confused by the verdict because he didn’t understand how the jurors came to a decision on the damages or concluded that the officers were wrong to arrest Jordan but not wrong to beat him. In closing arguments, Sansone didn’t ask for a specific amount in damages but hinted to the jury that millions of dollars may be appropriate. “The only thing he wanted to hear was that these officers did the wrong thing,” Sansone said after the verdict. Miles had claimed the officers confronted him in January 2010 while he was walking to his grandmother’s house to spend the night. He says they assumed he was a drug dealer because of his race and dreadlocks and beat him. At the time, he was an 18-year-old senior at Pittsburgh’s performing arts high school and had no history of police trouble. The officers say they got rough with Miles because he fought with them while they mistakenly thought he had a gun. 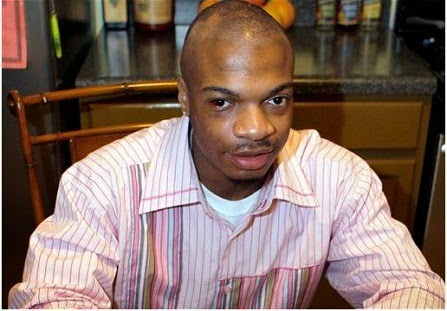 The verdict stemmed from a retrial granted after another jury two years ago rejected Miles’ civil rights claims that police maliciously prosecuted him for assault, resisting arrest and other crimes when he ran from and fought with police on Jan. 12, 2010. The criminal charges were dismissed weeks after Miles’ arrest by a city magistrate who said he didn’t believe the police version of events. But the first federal court jury in August 2012 couldn’t decide whether Miles had been wrongfully arrested or whether police used excessive force in the process, leading to a retrial on those civil rights claims. Miles contends he was talking on his cellphone to his girlfriend while walking a block to his grandmother’s house, where he routinely spent the night, when the plainclothes officers rolled up in an unmarked car asking for money, drugs and a gun without identifying themselves. His lawyers contend that practice — which police denied using — is commonly known as a “jump out” and used to put suspected drug dealers on the defensive. The officers maintain they flashed their badges and yelled “Police!” and stopped Miles only because he appeared to be lurking near a neighbor’s home. They claim Miles panicked and ran after being asked why he was “sneaking around” — and the confrontation escalated when Miles purportedly elbowed Saldutte in the head, then kicked Sisak in the knee, before officers mistook a “bulge” in Miles’ coat pocket for a gun. The officers contend they discovered the bulge was from a bottle of Mountain Dew. Miles denies carrying the bottle; officers say they later threw it away.